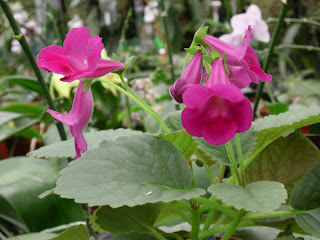 Now you see :) Happy Chinese Valentine's Day! 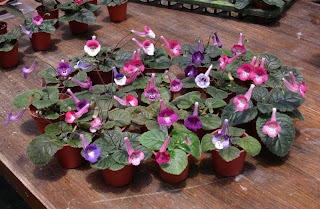 This is a beautiful selection from the cross between mini-Sinningia and slipper type Sinningia. 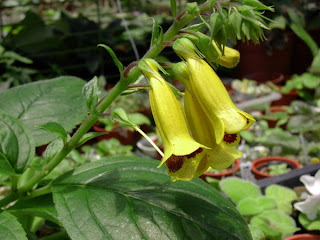 Compact foliage and big flower. 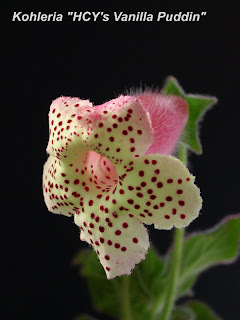 A close-up of this creamy Kohleria. 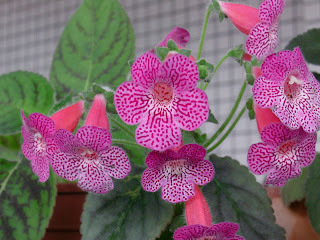 Lovely Kohleria grower, fancy flower and color. 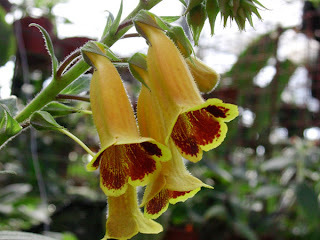 It is compact and very floribunda. 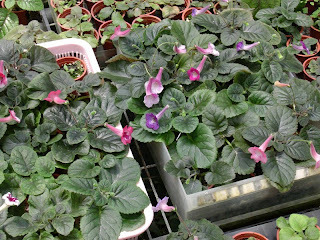 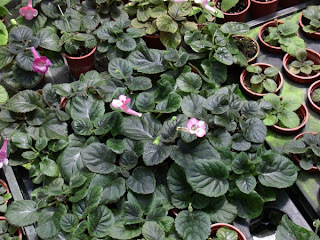 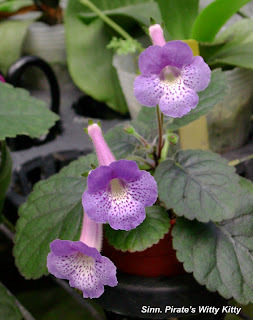 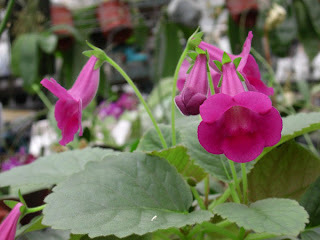 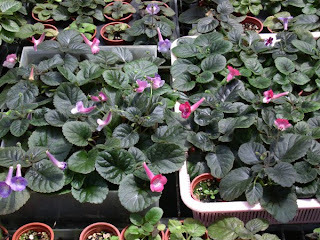 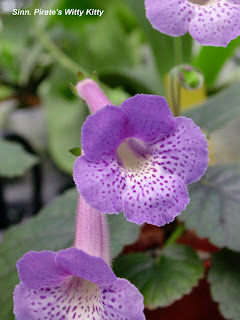 A native gesneriad of Taiwan , blooms in summer.